Who doesn't love the comfort of shopping from home. Needless to say we are online shoppers (read addiction) and we always try to save some hard earned money without compromising on the shopping list. So, I spend online .... still I get cash back in my bank account !! Wondering how the savings happen and how I bring smiles to myself ?? 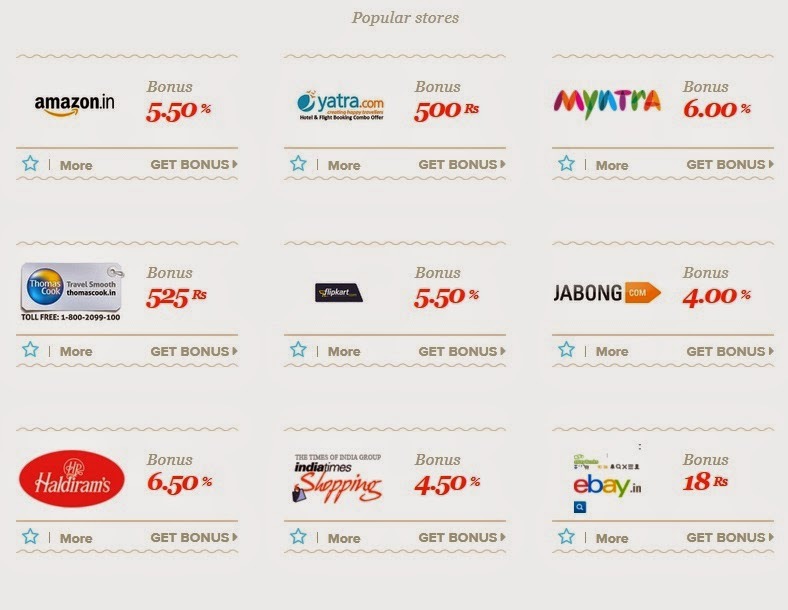 When you make your online purchases through Bonusbay.in you will receive a bonus. A ready cash to your PayPal/bank account. And the money you can use of course as you wish. 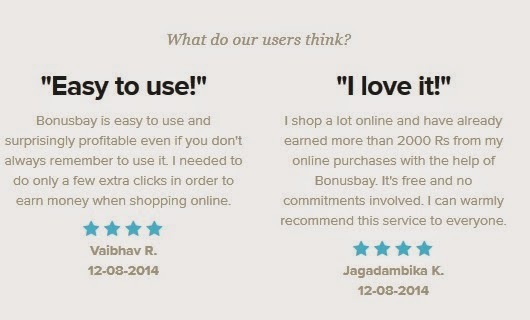 Bonusbay is a completely FREE service that helps you get money back on your online purchases. When you buy something, for example, from High5store for Rs. 7000, you can get Rs. 250 in bonuses through BonusBay. If you make Rs. 1000 reservation with Yatra.com, you will get Rs. 100 bonus. Once your balance hits a limit of Rs. 1000, you can ask for the amount to be transferred either to your PayPal or bank account. How do I get bonus from online shopping? 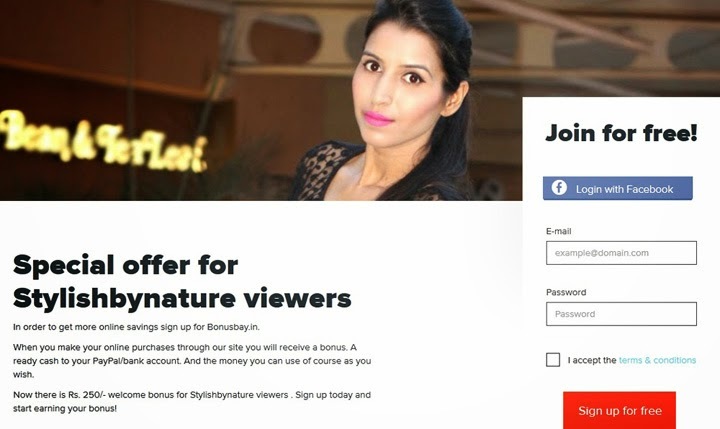 You get bonus from online shopping by signing up as a user of Bonusbay.in and by browsing online shopping websites through BonusBay site. You just need to remember to log in to your Bonusbay.in account and click through to the onlinestore via us before making a purchase. You will make a purchase in the online store as you normally would. Why wait ?? Try it yourself .... Sign up and start earning your bonus!